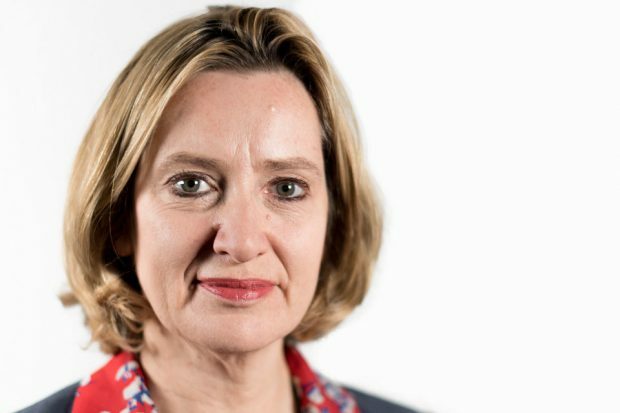 The Home Secretary has today written in the Sunday Telegraph about the need for social media companies to take a more proactive and leading role in tackling the terrorist abuse of their platforms. She adds that we have the best police and intelligence agencies in the world and that it's right we now give them space to do their jobs. Twenty-four hours after the terrorist atrocity in Westminster, I sat overlooking what should have been a beautiful view, lit up by the early spring sunshine, of London’s skyline. As it was, all I could see were the Union Flags at half-mast, atop the government buildings lining Whitehall. This week should have seen the official royal opening of the newly-relocated Scotland Yard, with its magnificent eighth-floor views of the city. But as events had unfolded, the media scrum bundled outside its famous revolving sign were there only to detail the aftermath of Wednesday’s horrific incident. The threat level from terrorism has been set at “severe” for more than two and a half years, meaning that an attack is considered highly likely. For a long time we have been warned that an attack is not an “if” but a “when”. We know we live in dangerous times. For a decade we have had seared in our minds the image of Russell Square, its bombed-out red double decker, the injured stumbling away from the wreckage with their arms around those even less able to help themselves. The horror of this latest terrorist incident, just a few days ago, will stay with us, too, long after the police tape has disappeared, long after the forensic teams have done their work, and long after the city’s black cabs appear again on Parliament Square. All those affected – those who lost their lives, their friends, colleagues, families and loved ones – will remain in our hearts, our thoughts, and in our prayers. This could not have been expressed more clearly at the meeting of faith leaders from across the spectrum, convened by the Met this week, in the wake of Wednesday’s awful events. They were as clear, too, in their condemnation of the acts of this individual. And in their praise for the police, one of whose number was so brutally murdered in the line of duty. We have the best police and intelligence agencies in the world, and it’s right that we now give them the space to go about doing their jobs. Alongside, over the last year, we have been preparing our updated CONTEST, the Government’s counter-terrorism strategy. We will set it out shortly. Of paramount importance in this strategy will be how we tackle radicalisation online, and provide a counter-narrative to the vile material being spewed out by the likes of Daesh, and extreme Right-wing groups such as National Action, which I made illegal last year. Each attack confirms again the role that the internet is playing in serving as a conduit, inciting and inspiring violence, and spreading extremist ideology of all kinds. There is much that we are doing: after referrals from the police Counter Terrorism Internet Referral Unit, over 250,000 pieces of terrorist-related material have been taken down from the internet since 2010. We work incredibly hard with our EU and international partners to make the online space a hostile one for terrorists. But we can’t do it by ourselves. We need the help of social media companies, the Googles, the Twitters, the Facebooks of this world. And the smaller ones, too: platforms such as Telegram, WordPress and Justpaste.it. We need them to take a more proactive and leading role in tackling the terrorist abuse of their platforms. We need them to develop further technology solutions. We need them to set up an industry-wide forum to address the global threat. I am meeting them next week to ask them to do just that. The action of this radicalised individual was an attack on all of us. It tried to silence our democracy. It was brutal and indiscriminate in those it targeted – young, old, irrespective of nationality, profession, colour or creed. It exposed the hateful, hate-filled and perverted beliefs of those who would try to harm us, those who perpetrate acts of bloody, nihilistic violence. But ultimately, too, it was an act of complete futility. For every twisted individual who would slaughter innocent bystanders, there will always those that run to victims’ aid without care for their own safety, as the nurses from Guy’s and St Thomas’ did, sprinting along Westminster Bridge to help those who had been mown down. For every cowardly act like this, there will be policemen and policewomen who place themselves in danger’s path to protect others – they put on their uniforms and do it every day. For every hate-filled attempt to harm, there will be always the legion of those who do not hesitate to give their help and care to a stranger when it is needed. The quiet dignity with which the city got itself up and going again could not make the point more clearly that the terrorists can never, ever, win. As originally published by the Sunday Telegraph on 26 March 2017.